Prepare to deploy! Coming this spring to a front porch near you, Speed and Strength is dropping in with the Band of Brothers Jacket. 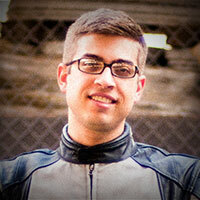 So if you’re a motorcycle-riding paratrooper, take note. With a mix of leather and denim, the Speed and Strength Band of Brothers Jacket has a great vintage look and feel. 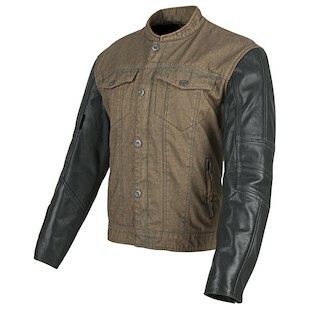 The sleeves are full 1.0-1.1mm cowhide with a washed and waxed treatment. The main body uses a bronzed denim chassis with a comfortable mesh slip liner. Even though it looks old school, the Band of Brothers Jacket has modern protection. You get Speed and Strength’s CE-rated Vault armor in the shoulders, elbows, and even for the back. Most jackets don’t come with a back protector, so the inclusion of one here is a nice touch. The understated strip of black is actually fully-reflective Blackwatch material, so other drivers will have a better time seeing you at night. Not necessarily ideal for jumping out of airplanes, but it’s perfect for two-wheeled cruising. If you’re looking to get in with the men of Easy Company, the Speed and Strength Band of Brothers Jacket is the right jacket for the job. Who knows, maybe you’ll see Tom Hanks and Steven Spielberg wearing one!